The Spanish government has denied the renewal of Nuclenor's operating licence for the Garoña nuclear power plant. The decision means the reactor - which has been offline for more than four years - will now enter the decommissioning phase. 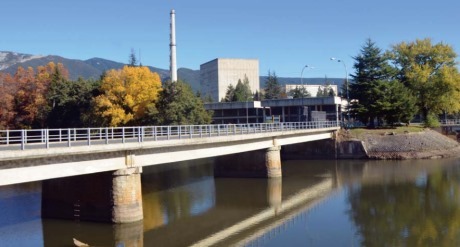 The 446 MWe boiling water reactor began operations in 1971 and was deemed by the regulator - the Nuclear Safety Council (Consejo de Seguridad Nuclear, CSN) - to be suitable for operation until 2019 given certain technical upgrades. However, in September 2012, operator Nuclenor - a joint venture of Endesa and Iberdrola - missed the deadline to submit an operating licence renewal application for Garoña, meaning that it had to shut by the time its licence expired on 6 July 2013. However, the reactor was closed in mid-December 2012 to avoid a full year of retroactive tax charges for which Nuclenor would have been liable if it was operating on 1 January 2013. In February 2014, the industry succeeded in lobbying for regulatory changes that made it possible for a reactor closed for reasons unrelated to safety or radiological protection to be granted a new operating licence within 12 months of its shutdown. Nuclenor submitted a licence renewal application for Garoña to the Ministry of Energy, Tourism and the Digital Agenda in May 2014, requesting a licence for Garoña to operate until 2031. The ministry subsequently forwarded this to CSN for evaluation. In February, the CSN gave conditional approval for the restart and continued operation of Garoña, but said Nuclenor would be required to make a number of safety upgrades. These upgrades were in line with requirements introduced for all Spanish nuclear power plants following the March 2011 accident at Japan's Fukushima Daiichi plant. However, Energy Minister Álvaro Nadal today announced that the government had decided not to approve the renewal of Garoña's operating licence. He said the decision was taken after the ministry had studied 17 opinions submitted by institutions, associations and companies involved in the process and had also taken into account the government's energy and climate plans. Nadal noted that Garoña - Spain's smallest and oldest nuclear generator - has not operated for more than four years and no significant impact had been found during this time on the country's electricity supply due to the lost production. He said the ministry will now issue a decommissioning permit and, subsequently, the decommissioning declaration. Nuclenor will be required to carry out a series of tasks during a "pre-dismantling period", including the removal of used fuel held in Garoña's storage pool to an interim storage facility. It must also treat the waste that has been generated during the plant's operation. Spanish decommissioning firm Enresa will need to request a dismantling permit, the ministry noted. In addition, it must also apply for ownership of the plant to be transferred. According to Enresa's estimates, dismantling of the plant will begin six years after its definitive closure and would take about ten years to complete. Spain's nuclear industry forum Foronuclear said it considers the government's decision as "a specific, one-off decision" that does not affect the continued operation of Spain's other nuclear power plants, which "was confirmed by the minister himself".